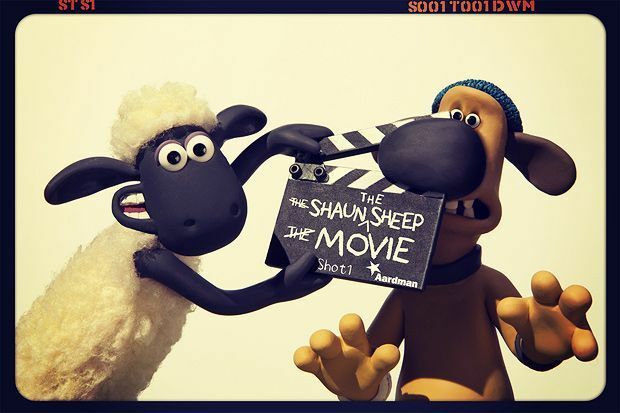 Hot on the heels of Postman Pat and Paddington, the latest British children's TV show to receive the big screen treatment is Shaun the Sheep, the wildly successful stop-motion animated series from the geniuses at Aardman Animations. Happily, the show's creative team are present and correct for the film version and the result is a treat for adults and children alike. After a botched plan for a day off leads to the Farmer (voiced by John Sparkes) getting lost in the Big City with a head injury, Shaun (Justin Fletcher) and his friends - including plus-sized sheep Shirley, Shaun's tiny cousin Timmy and the Farmer's long-suffering sheepdog Bitzer (Sparkes again) - leave the safety of Mossy Bottom Farm to rescue him. However, they quickly run into difficulty when they're spotted by a fearsome animal catcher who will stop at nothing to put them behind baas. Any fears that the feature-length format would struggle to sustain the series' trademark absence of dialogue (all the humans speak in unintelligible grunts) are swiftly allayed thanks to a steady stream of hilarious, well-timed sight gags, such as an inspired moment where Timmy disguises himself as a Shaun the Sheep backpack. Writer-directors Richard Starzack and Mark Burton have also made sure to include jokes for all ages: it's unlikely that the TV show's target audience will appreciate nods to The Silence of the Lambs, for example. As with all of Aardman's productions, the level of craft on display is breathtaking, with each frame packed with tiny details that will reward future viewings. This is a beautifully made, hugely entertaining comedy that the whole family can enjoy. General release from Fri 6 Feb. When the Farmer gets lost in the Big City, Shaun (Fletcher) and his friends leave Mossy Bottom Farm to rescue him. With a steady stream of hilarious, well-timed sight gags, it's a beautifully made comedy for the whole family, packed with the kind of detail that rewards future viewings.